Recreational fishing is a longstanding American outdoor tradition, generating $25 billion annually. 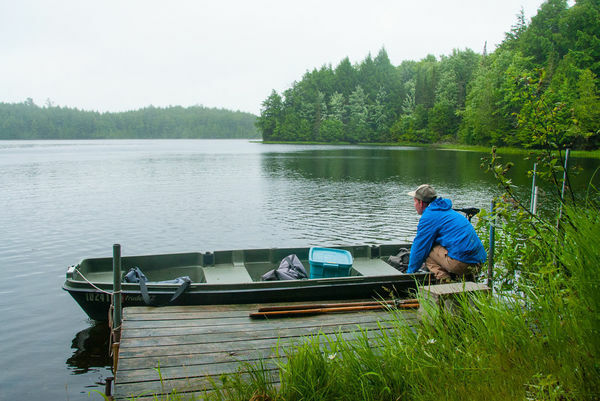 Whether fishing on lakes, rivers or streams; from shorelines, boats or embankments; freshwater fishing remains the most popular form of fishing, attracting more than 37 million participants last year. While recreational fisheries are culturally and economically valuable, freshwater ecosystems are vulnerable to degradation and collapse. The four-year project aims to enhance understanding about the interactions between social and ecological processes, which affect both fish and human populations. Researchers will work to identify problems in these open-access systems and determine how angler preferences and available information affect fishing efforts. The study will engage a interdisciplinary team of 15 collaborators representing nine research institutions and conservation agencies. Researchers plan to interview local organizations about investments in fisheries quality and develop new models with both ecological and economic implications. The award is co-led by Christopher Solomon of the Cary Institute of Ecosystem Studies, Marco Janssen of Arizona State University, Stuart Jones of the University of Notre Dame, Olaf Jensen of Rutgers University, and Sunny Jardine of the University of Washington. Jones is also the associate director of aquatic research for the University of Notre Dame Environmental Research Center (UNDERC) and affiliate of the Environmental Change Initiative. Originally published by Alex Gumm at environmentalchange.nd.edu on September 21, 2017.